A woman journeys out into the vast and unforgiving wilderness in search of her sister who has been exiled for a negligent act that resulted in tragedy. I made this film with hopes of inspiring people who may have experienced or may in the future experience hardship to have confidence in moving forward and finding joy and purpose post-trauma. I also wanted to show a strong capable woman, thriving in sometimes male-dominated roles. Alaska Native stories are rare to come by in cinema, not to mention the beauty of the landscape we occupy; catch a glimpse of remote village life complete with capable female bush pilots and boat drivers. Love, family, hardship, loss, and healing, it doesn't get much more universal than that. It is always a process. I have had a number of people who have lost loved ones to suicide communicate to me that they are comforted by the message of hope this film conveys. I am honored that even a single person has been touched by the message of this film. It further reinforces my belief in the power of art and my inspiration to continue to pursue expressing myself in the medium of film. I would love to gain support to produce my next script, a thriller that also takes place in under-represented remote Alaska. Heartfelt deep thought and personal reflection and an appreciation for the beauty of the Alaskan landscape. How do you deal with loss? Do you know many female pilots? I am working on another short fiction film script, this time a thriller. I am also in the final stages of finishing a 25 minute documentary about an inspiring elder from our Bristol Bay community. 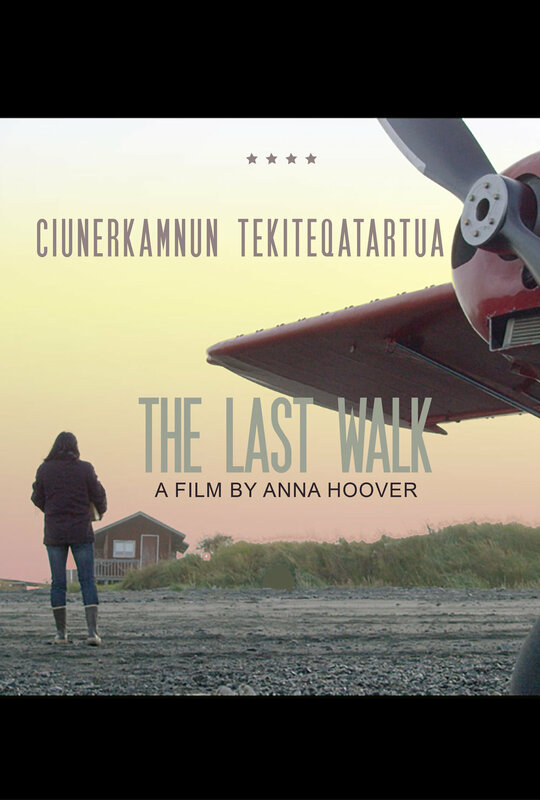 Norwegian/Unangax̂ filmmaker, ANNA HOOVER produces video art, documentary and fiction films via her home state of Alaska. Her films have received support from the Alaska Humanities Forum, the Rasmuson Foundation and the International Sami Film Institute. A private pilot and commercial salmon fisher, Anna lives for a challenge and does not shy away from adventure. LAURA J MILLIKEN is a film and television producer. She creates and develops content for screens of all sizes. She has been running her company Big Soul Productions for 15+ years and is so proud of the work they do because it specializes in telling stories from the Aboriginal perspective. MIlliken also works with many corporate clients on a diverse range of projects. She is a producer, communicator, marketer, entrepreneur and visionary. Where can I watch it next and in the coming month?